We are now into the sixth day of the Winter Olympics in Pyeongchang, with much of the headlines being dominated by the formidable weather conditions which has seen some events delayed, and plenty of athletes suffer falls which have scuppered their medal chances. Great Britain are still yet to win any medals at this year’s Games with the early stages of the event being dominated by the likes of Germany who top the medal table with eight golds to their name. Norway have the most medals in total with 16, but only of five of these are gold which is why the Germans lead the way. Here at Champions Olympic Speakers we have picked out a selection of highlights from the last few days of the competition. 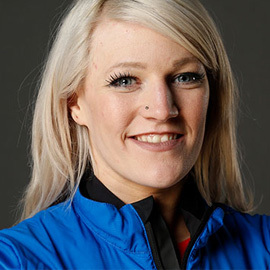 Britain’s best hopes of a medal so far seemed destined to be in the 500m short-track speed skating event where world champion Elise Christie looked set to scoop a medal. However, the country let out a collective groan of disappointment when the 27-year-old crashed out as she tried to overtake her fellow athletes in her usual fearless racing style. Much has been made about the weather in Pyeongchang, but French snowboarder Pierre Vaultier managed to overcome a pile-up in his snowboard cross semi-final to go on and defend his Olympic title. A five-time world champion, the pressure was on Pierre to win the event and he did not disappoint overcoming Australian Jarryd Hughes and Spanish rider Regino Hernandez. His fall in the semi-final was almost detrimental but he just scrapped through to the final in the last qualification spot. Staying with snowboarding and as four in five riders have suffered falls in 2018, injuries are to be expected. However, one of the worst accidents so far happened to rising Japanese star Yuto Totsuka who had to be stretched off the course after the 16-year-old injured his head on a frozen pipe and fell 22 feet. Fortunately, he only suffered minor hip damage. At the halfway stage, British skeleton star Dom Parsons find’s himself in fourth place in touching distance of Great Britain’s first medal of the Games. Latvia’s Martins Dukurs is only 0.03 seconds ahead of the Brit, with South Korean athlete Yun Sung-Bin leading with a time of 1:40.35. In second place is Nikita Tregubov who is an Olympic Athlete from Russia. Fellow British athlete Jerry Rice finds himself in 12th position with the event concluding on Friday. It seems that every time a new Winter Olympics is upon us the world becomes fascinated with the sport of curling and this year is no different. As the event got underway none other than former wrestler and The A-Team actor Mr T took to social media to exclaim how much he was enjoying watching the curling. So much so that the hashtag #curlingiscool trended on Twitter! Great Britain will be hoping that they can go one better than the silver medal the men’s team achieved in the sport in Sochi. The men have secured their second round-robin win in the event after defeating Japan 6-5 and look to be strong going into the latter stages of the tournament. If you would like to book a Winter Olympian for your corporate event, function or conference, then simply contact the Champions Olympic Speakers agency by filling in our online contact form. For any further information, call a booking agent directly on 01509 85 29 27.